Standard Colors are Red or Green, custom colors available for an additional charge. 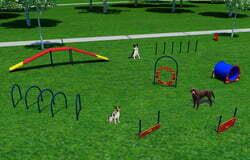 The Small Dog System is ideal for both small dog sections of the park or just a park with limited open space. 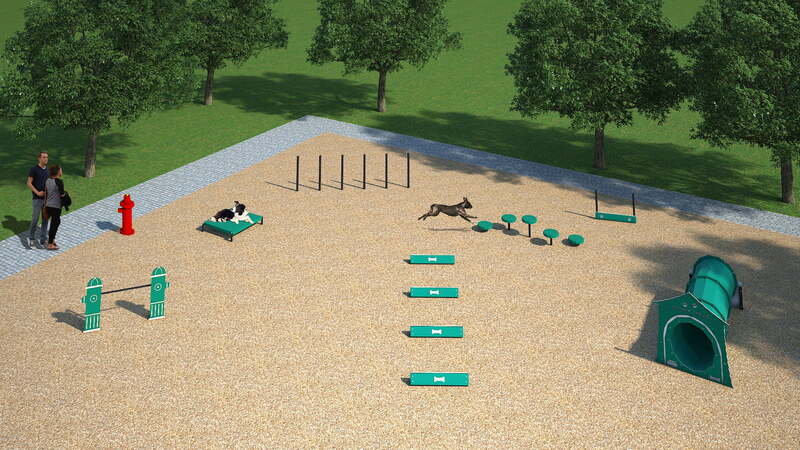 It includes seven (7) of our most popular dog agility activities: Adjustable Jump Bar, Agility Walk, Hound Hurdles, Wall Jump (Single), Double Bow Wow Barrel with custom Dog House, Wait Table, & Flexible Weave Poles. Also includes a FREE standard Fire Hydrant - a $398.00 value! Suitable for dogs of all sizes and abilities. 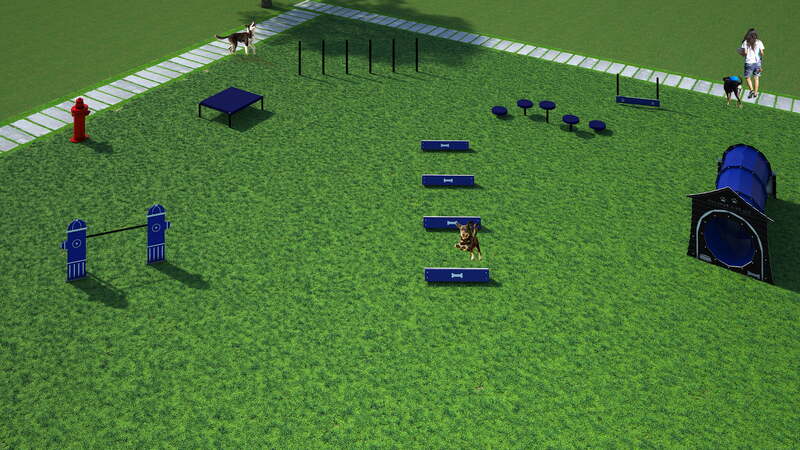 Free customization on Dog House Panel and Wall Jump. Includes 5% package discount (compared to a la carte selections). Note: Systems do not include Site Furnishings (such as benches, fountains, etc. ), which are sold separately.